The city of Ansonia, located in New Haven County on the Naugatuck River, is in the lower Naugatuck Valley region. Though its development as a village center started in the 1600s, it was not until 1864 that it was incorporated as a town, and in 1893 reincorporated as a city. Also referred to as the “Copper City,” Ansonia produced copper, brass, rubber, and plastics, among other manufacturing industries. It was the home of the well-known Ansonia Clock Company and the birthplace of Revolutionary War Colonel David Humphreys. “Derby Historical Society,” 2016. Link. “Kosciuszko (Polish-American) Historical Society, Inc,” 2017. Link. Hughes & Bailey. 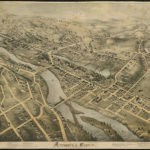 “Aero View of Ansonia, Connecticut / Waterbury, Conn.” Bird’s-eye. Waterbury, CT: Hughes & Bailey, 1921. University of Connecticut Libraries, Map and Geographic Information Center - MAGIC. Link. “Ansonia - WPA Architectural Survey.” Connecticut State Library Digital Collections, 2017. Link. “Digital Photograph Collection: Ansonia - Farm Security Administration - Office of War Information Photograph Collection, ca. 1940s.” Library of Congress, Prints and Photographs Division, 2017. Link. “Photograph: Factory At Ansonia, Coe Brass Manufacturing Company,” 1900. Archives & Special Collections at the Thomas J. Dodd Research Center, University of Connecticut Libraries. Link. “View of Ansonia, Conn.” O.H. Bailey & Company, 1875. Boston Public Library, Norman B. Leventhal Map Center. Link. Derby Historical Society. Ansonia. Charleston, SC: Arcadia, 1999. Ansonia Bicentennial History Book Committee. Ansonia Bicentenial 1976. Ansonia, CT: Ansonia Bicentennial Commission, 1976. Derby Historical Society. Derby and Ansonia. Charleston, SC: Arcadia, 2004. Molloy, Leo. Tercentenary Pictorial and History of the Lower Naugatuck Valley: Compiled by Leo T. Molloy on the Occasion of the 300th Anniversary of the Settlement of Connecticut. Containing a History of Derby, Ansonia, Shelton and Seymour. a Chronicle of the Progress and Achievement of the Several Cities and Towns. Ansonia, CT: Emerson Brothers, 1935. Orcutt, Samuel. 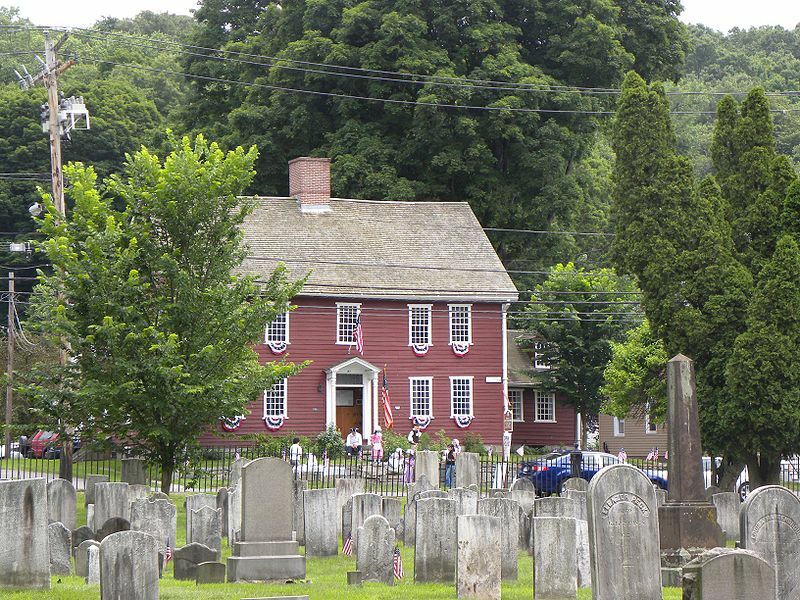 The History of the Old Town of Derby, Connecticut, 1642-1880 with Biographies and Genealogies. Springfield, MA: Springfield Printing Company, 1880. Link.